In the below article we are going to discuss the Biochef dehydrator vs. Excalibur and bring out the real picture of a comparison between the two. It will help you in picking the right model for any of these brands efficiently and wisely. Before beginning the article, we would like you to introduce to both companies in brief. Excalibur Company established in the year 1973. It has its head office in Sacramento, CA. They have been in this trade for more than 45 years. The company was acquired in the year 2011 by a Florida company called The Legacy Cos., which makes commercial food appliances. The Biochef is a collection of the Vitality 4 Life Company whose founder begins the distribution of the juice extractors 20 years ago in the market of Australia. Later, after the introduction of the juice extractors, it also introduced the dehydrators as the Biochef collection. It currently exports the products to Europe, UK, Canada, NZ, and the USA. As you can see in the comparison chart, one of the characteristic features among these two brands is the feature of the adjustable thermostat. 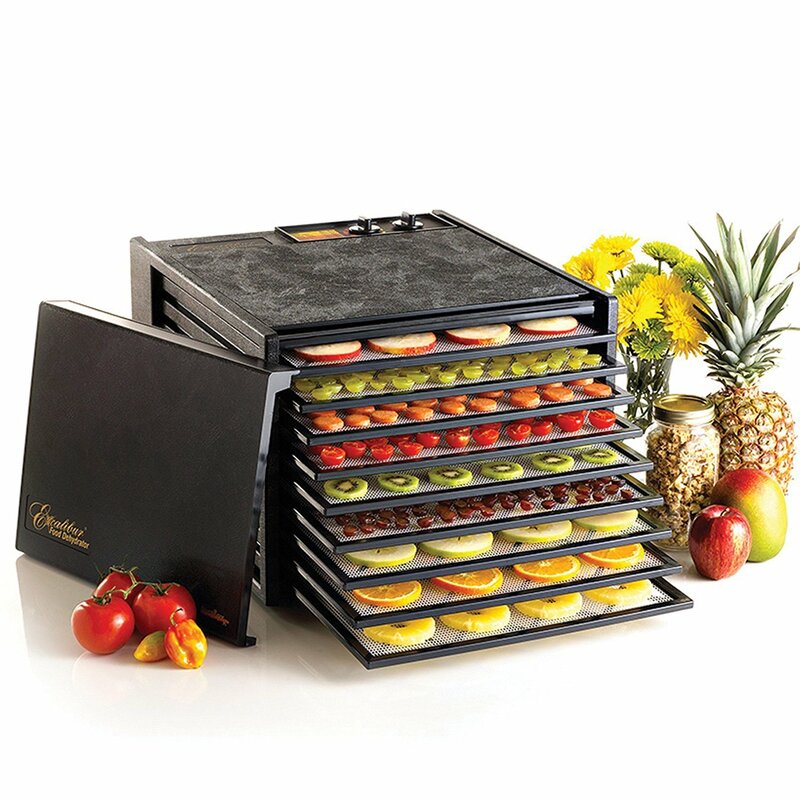 It is quite vital to have this feature in the dehydrator for drying different foods at the right temperature evenly. For example, Fruits need less drying temperature, but meat needs a high temperature for drying. 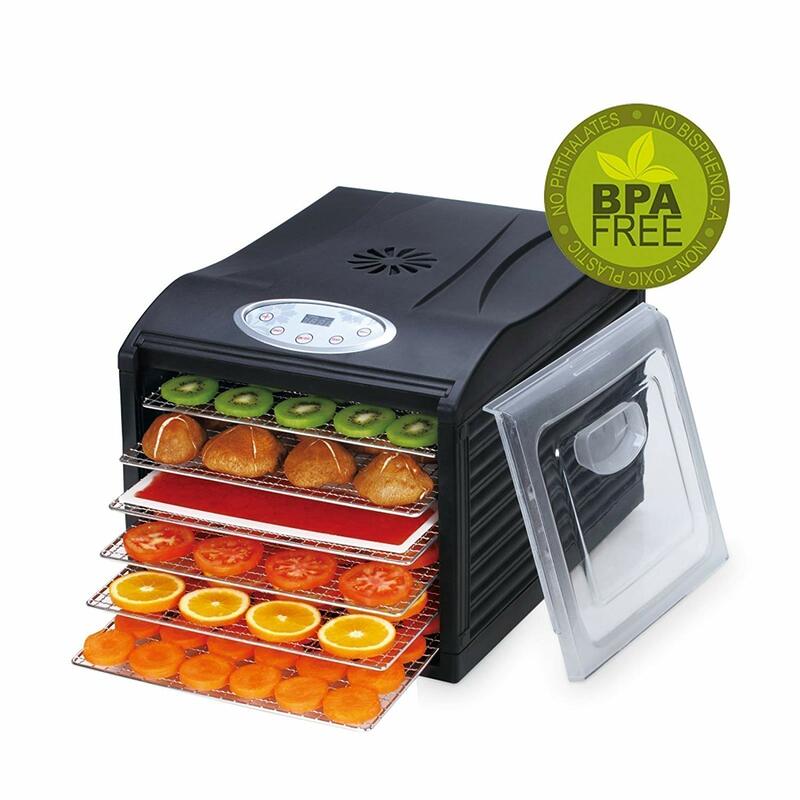 ​The non-stackable tray models of the Biochef, as well as the Excalibur dehydrators, possess the rear mounted fan. It helps in blowing the hot air over all the trays, and thus you do not have to do any tray rotation in it. One more benefit of the rear mounted fan is that you do not have to worry about the food drippings at all. Isn't it amazing? The entire Biochef non-commercial models come with the shelves made from the stainless steel material whereas the shelves of the Excalibur dehydrators come with both, i.e., plastic material and stainless steel material. ​It is enormous differences between the size of the Excalibur and Biochef dehydrators. 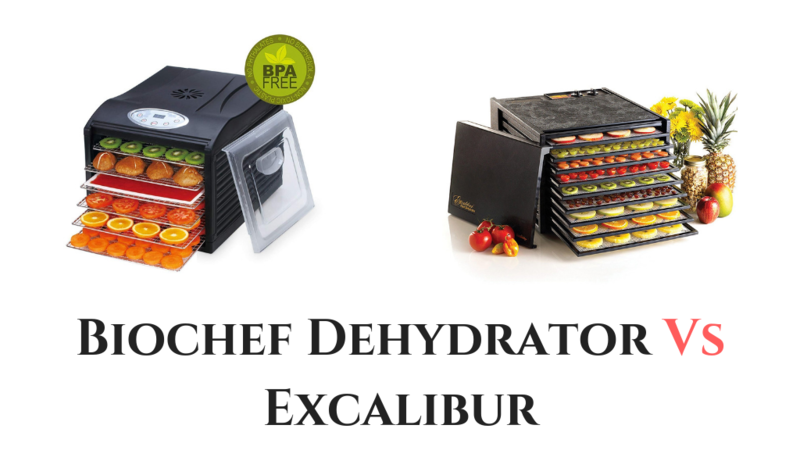 You get the more significant range of space in the Biochef dehydrators in comparison to the Excalibur dehydrators. But you should keep in mind that it is not possible to expand the capacity of any of the brands by adding more trays. If you want to extend the size then, it is better to buy an additional dehydrator. The fan located the backside for the even distribution of the air on all trays. The transparent door let you see the status of your drying food during the entire process. It can survive the high range of temperature easily. You can clean its models with very less effort. The after sales service of the company is quite quick and fast. We hope that after reading the above article, you know all the things about Biochef dehydrator vs. Excalibur. Besides the above information, you should also keep in mind your budget, needs, etc. while buying any of the brand’s models. We have also reviewed and compared the Biochef dehydrator with the Excalibur by different criteria like drying space, weight, features, etc. We try to compare them as much as possible. So, now you decide that which food dehydrator brand fulfills your requirements completely. Both brands have their pros and cons. Thus, we can't say which one among them is better. One thing we can assure you is that whichever brand you buy will surely going to become a permanent companion in your kitchen. Please share your kind thoughts and experiences with us here. Also, let us know if missed out anything in the article. Your views are precious to us!